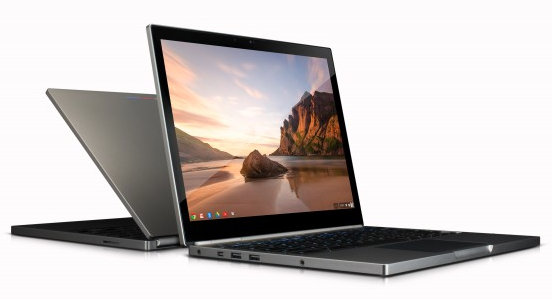 Google has just announced they’d be releasing a new iteration of their chromebooks. They’d call it ‘Pixel’, because they want the pixels, literally, to disappear. It has a 12.85 inches screen, with a stunning resolution of 2560×1700. That’s beyond Mac Retina… well, just a little bit. Furthermore, it has a touchscreen built with Gorilla Glass display. Hardware?. Intel i3 running at 1.8ghz, 8gb of ram, and 32gb of flash storage. Not much, but you need to consider that this notebook has been built to work in the cloud… so you wouldn’t be storing, locally, documents. Personally, i don’t like it. I’m not comfortable with the idea of not having my documents stored in my own machine. Furthermore, at a 1200 dollars price tag (for the wifi version), and 1400 for the 3g capable, i believe that local storage should be far beyond 32gb. I’ve tested the previous version of the chromebooks, built by Samsung… and let me say just this. It’s less useful than an iPad, but it has a built in keyboard. So, if you’re still interested in buying this device, i strongly suggest you take a look at an iPad + Keboard. You might find it interesting!. Artificial Intelligence has become a part of our lifes. Almost everyone has a smartphone capable of running simple AI… Siri became a commodity. But the limitations are not easily dismissed… the current state of the art is far beyond what you might believe. Self awareness is a no-go.. specially when we don’t even fully understand where consciousness emerges. 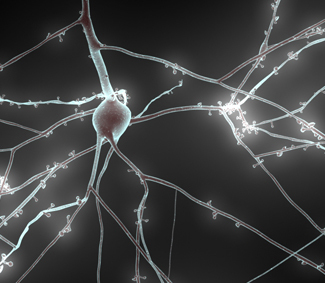 Is it a side effect of the multi-dimensional neuron network?. Or is it something else?. Well, luckily, i’m not the only one thinking about these questions. The European Union announced that they will invest 1200 million dollars over the next ten years, in order to build a model of the human brain. The goal is to map every single network in our brain. And they won’t just stop there. The team responsible of this project intends to simulate a human body, connected to this brain.As a result, we will have… in a couple years, a baby-mind modeled. Who knows what will happen, or what we will learn?. Check out the video..!! 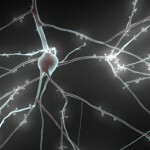 As a brief sidenote, i’d like to point out that there is yet another brain simulation project, that has been going on for the past couple of years. I’m referring to the Blue Brain Project, which, the same as its european counterpart, intends to replicate the neural connections of an entire human brain. Downside to that is… they don’t have the funding that the previous project has, so the EU counterpart is almost a safe bet. If you wanna simulate a brain, you need raw power. A LOT!… and the only way to build the hardware, is with a mountain of money, literally speaking. Intel to stop making Motherboards!?!?!? Intel hardware has been always regarded as the ‘most stable’ piece of electronics you could buy. After all, they’re the ones building Intel Microprocessors, so they really know what they’re doing. As everyone knows, iPads have been dooming PC’s sales for the last couple years, since their introduction in 2010. Early this week, Intel announced that by 2016 they’ll stop building their own branded motherboards. So, it seems, desktop PCs already have its days numbered. Will tablet-pcs be able to fully replace them?. Of course not. We, developers, need processing power that far exceeds the capacity of ARM chips. At least in the near future, the common ground prediction is that… final users will rely on tablets for their daily tasks, while developers and it-professionals will still use old fashiones computers.